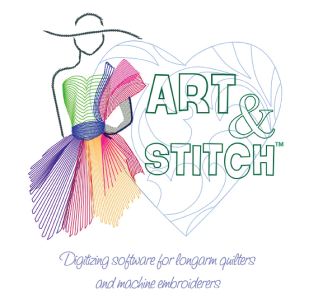 Art & Stitch works with all computerized quilting systems. Bring your laptop and follow along as you learn to design your own custom quilting patterns. You'll learn to use the powerful automatic features of the software, as well as creating original designs by tracing or using a design concept of your own. To achieve maximum benefit from this class be sure that you have updated to Version 4.2. You may download a trial version from the Art & Stitch website.